From day one, this year's CES (formerly Consumer Electronics Show) proved that artificially intelligent smart assistants are not "the next big thing": they represent one the most significant technology and culture-related phenomena happening right now. According to the semi-annual U.S. Consumer Technology Sales and Forecasts report published by the Consumer Technology Association, the U.S. smart home industry might achieve a 34% growth in sales this year, while sales revenue from the smart speakers that control these smart home devices is projected to increase by 93%, reaching an impressive $3.8 billion in 2018. While we are sure to hear much more about A.I.-powered technologies such as Apple's Siri, Microsoft's Cortana, Samsung's Bixby and the Google Assistant – the latter of which was promoted at the CES 2018 with the help of a massive voice-activated gumball machine –, Amazon's Alexa outshined the competition at the trade show. From smartglasses to TVs, projectors, kitchen appliances, mirrors that serve as skincare consultants and a $5,625 toilet (even pricier models available...), Alexa-enabled smart home devices flooded the Las Vegas Convention Center. While most of these releases still require that you also own one of Amazon's Alexa devices (such as the Echo Spot and Echo Plus), some offer a built-in Alexa system. Granted, films, books, and pop culture icons such as Hal 9000 (the villainous machine in Stanley Kubrick's "2001: A Space Odyssey") might have made us wary – and rightfully so – regarding the future of artificial intelligence. Visionary magnate Elon Musk has affirmed time and time again that A.I. is indeed likely to destroy mankind (! ), and conspiracy theorists insist on a link between Alexa and the CIA. Still, and as of now, such technologies can facilitate our lives and entertain us in various ways – some are flat out silly, but it's hard not to laugh with Alexa's "Easter eggs," one-liners that include all sorts of pop culture references and funny replies (I suggest you tell her, Darth Vader style, that you are her father...). 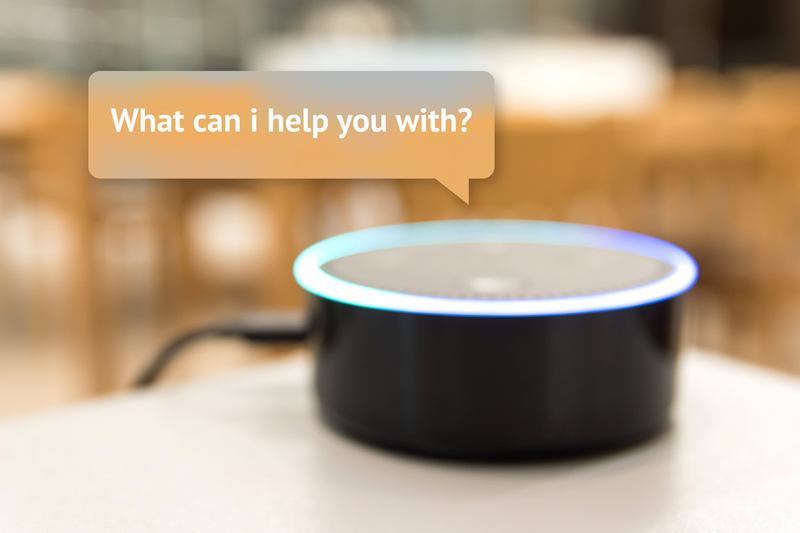 There is no limit to Alexa's ever-growing set of skills – the total figure currently surpasses 25,000, and new skills are added at an extraordinary rate. According to Voicebot.ai, it took 63 days for the number of skills to grow from 15,000 to 20,000, and 103 days after that milestone for the set of skills to reach 25,000. Although the New York-based 360i digital market agency concluded, after extensive testing, that Google Home devices beat Amazon's Echo when it comes to offering effective answers to user questions, the market has shown a clear preference toward Amazon's product line up to this point. Despite the fact that Google's A.I. units are increasingly present in U.S. households, Amazon still holds the dominant market share for smart speakers; the company is likely to maintain this position, many thanks to all the new Alexa-compatible technology, in itself an acknowledgment of how relevant Alexa is to consumers, developers and manufacturers. Amazon's A.I. has proven to be profitable way beyond the sale of Echo units: the annual spending on Amazon.com by Echo owners is 70% higher than that of the average Amazon customer, so the company is more than likely to keep investing hard on its intelligent assistance technology (Consumer Intelligence Research Partners, January 2018). Whether you want to join the Alexa bandwagon or you've already succumbed to the assistant's skills, you might want to take a look at some of the newest tech that either integrates or supports the world's most popular A.I. system. Check out our selection of 5 top-of-the-line Alexa-enabled smart home devices. Setting up a home cinema has never been easier – and now, Alexa can be your projectionist. Some of the best projectors announced at CES this year support Amazon's smart assistant, like the Optoma UHD51A or the Acer V6820M/i. 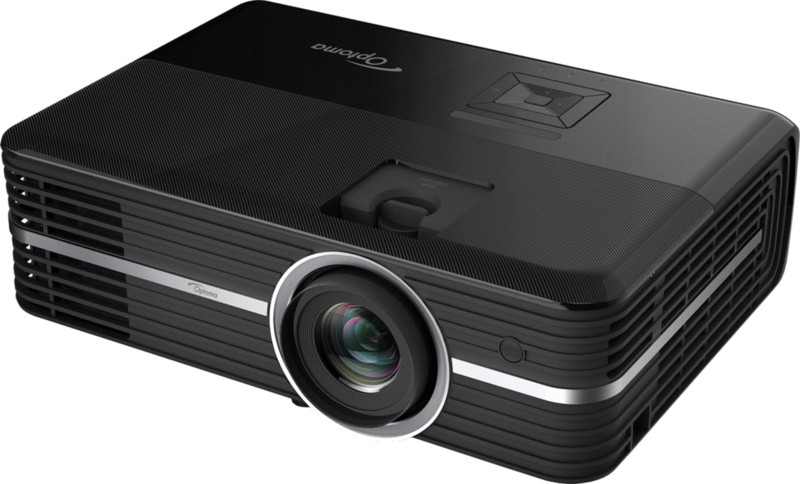 The Optoma UHD51A projector has a 2,400-lumen lamp, a 500,000:1 contrast ratio, an RGB color wheel, HDR10 support, and dual HDMI 2.0 inputs with HDCP 2.2. The projector offers integration with Alexa Smart Home and custom Alexa skills, and has 4K resolution with 60Hz support. The product will be available in Q1 for approximately $1,699. Acer’s V6820M/i is an excellent wireless projector for 3D home theater experiences, thanks to its HDMI 3D2 output. With a maximum 120-inch projection size and 4K resolution (3,840 x 2,160 pixels), you can enjoy your favorite movies or play games with that real-life feeling. The projector features Acer’s AcuMotion frame interpolation system, which comes into action for fast-moving scenes by generating intermediate frames and ensuring seamless motion. Pricing and availability are yet to be announced. If one of your favorite sports is channel surfing, then owning an Alexa-enabled TV is a bliss. Not only can you switch between channels using voice commands, but you can also control key settings like contrast, brightness and TV modes, as well as smart home devices. 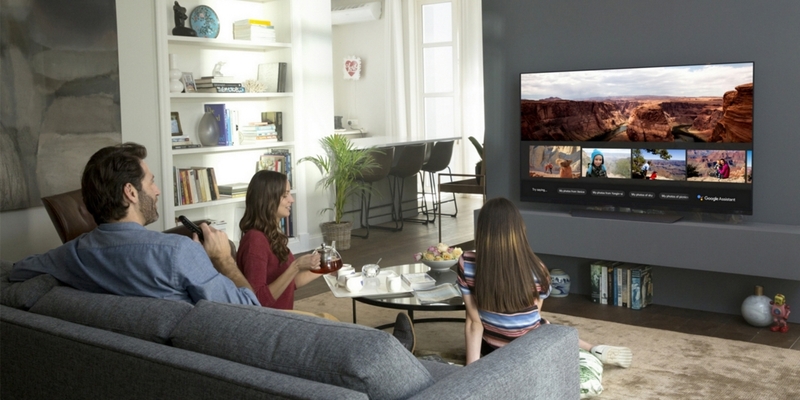 LG’s new TV range works equally well with the Google Assistant and is powered by the signature α9 Intelligent Processor, for which the company received an honoree title at CES 2018's Innovation Awards. LG’s TVs come in various sizes, and their OLED displays guarantee crystal-clear and sharp images. The most notable TV in the series is LG's Signature W8, a development of last year's raved Signature W7. Just like its predecessor, the Signature W8 comes with a high-definition Dolby Atmos Soundbar and an ultra-thin design. 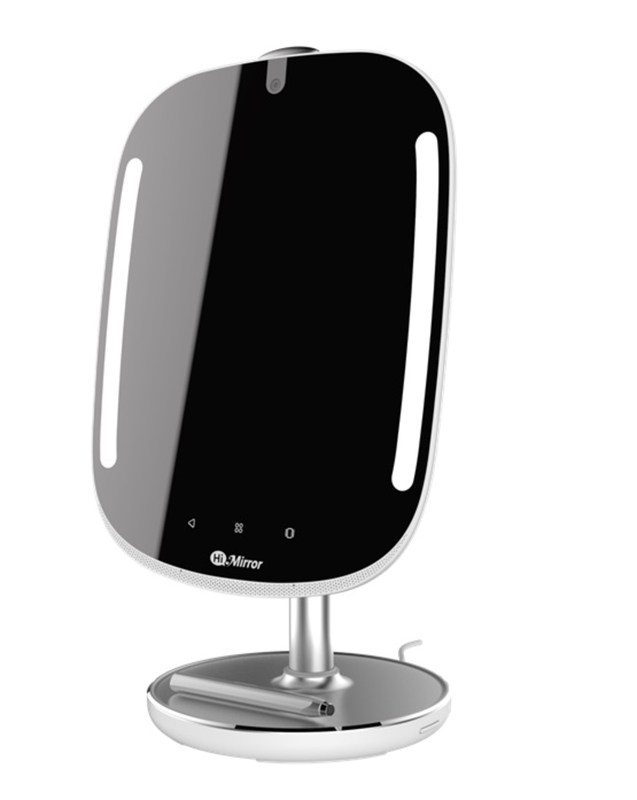 HiMirror released its latest smart beauty consultant, HiMirror Mini, at CES 2018. The new version of the HiMirror was awarded an honoree badge at the trade show's Innovation Awards, and not without a reason: the smart skincare device is water-resistant, features a touchscreen and is, of course, Alexa-enabled. 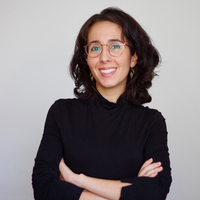 The intelligent beauty consultant recommends a beauty regimen upon analyzing skin's condition and considering factors such as weather and current skincare. The smart device's assessment takes into account elements such as pore size, dark circles, red spots, as well as wrinkles and fine lines; it then offers advice on how to improve your skincare routine. Multiple users can have private access to HiMirror Mini's features and to personal user stats, which include a chronological skin health report. This timeline is quite helpful in terms of progress-tracking and for a better understanding of how your skin reacts to different seasons. Moreover, the smart beauty consultant has LED lights that'll help you suit your makeup for different scenarios – such as sunny outdoors and brightly-lit offices, among other possibilities. Finally, Alexa integration allows the user to purchase skincare products with the help of Amazon's A.I., as well as make the most of other Alexa skills. Do you remember Google Glass? Released in 2013, Google’s smart glasses were way ahead of their time. The headset was highly criticized due to privacy concerns; people walking around with devices capable of continuously recording what's in their visual field seemed a bit unsettling, to say the least (that’s why the hashtag #glasshole became popular at the time, a jab at Google Glass' early adopters). Fast-forward to 2018, and plenty of other augmented reality glasses and VR headsets are able to record video. However, CES 2018 introduced the first Alexa-compatible smart glasses: the Vuzix Blade. They look just like a regular pair of sunglasses but have a built-in camera and a microphone. By using voice commands, you can ask Alexa for information and you’ll see it displayed in your field of view. Most likely, Alexa and other digital assistants will make their way to a growing amount of products, especially wearables and other wireless gadgets. Aside from our selection of Alexa-enabled smart home devices, we thought we'd also show you a CES highlight which has yet to feature smart home integration but could offer it soon enough: the Lenovo Mirage Solo. 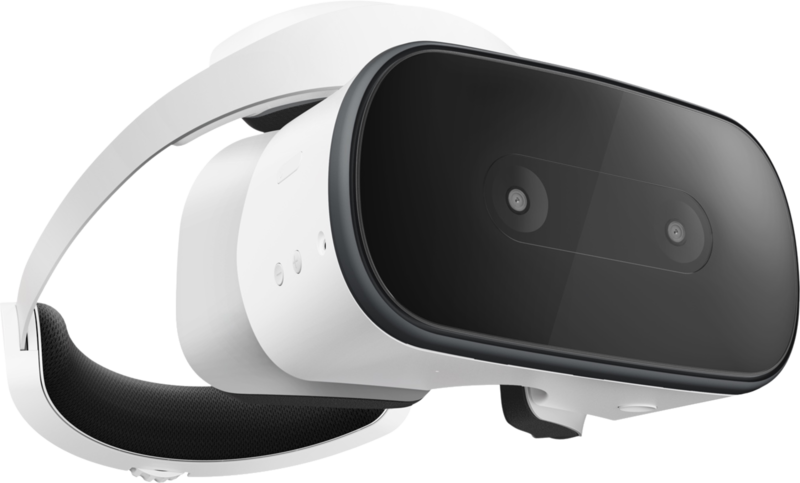 The world’s first wireless DayDream headset packs quite powerful specs for a standalone headset: an LCD display with a resolution of 2,560 × 1,440 pixels, a wide field of view (110-degrees), the powerful Qualcomm Snapdragon 835 chipset and a long-lasting 4,000 mAh battery. With more and more devices supporting digital assistants, it probably won’t be long until you’ll be able to link this HMD to Alexa or the Google Assistant. 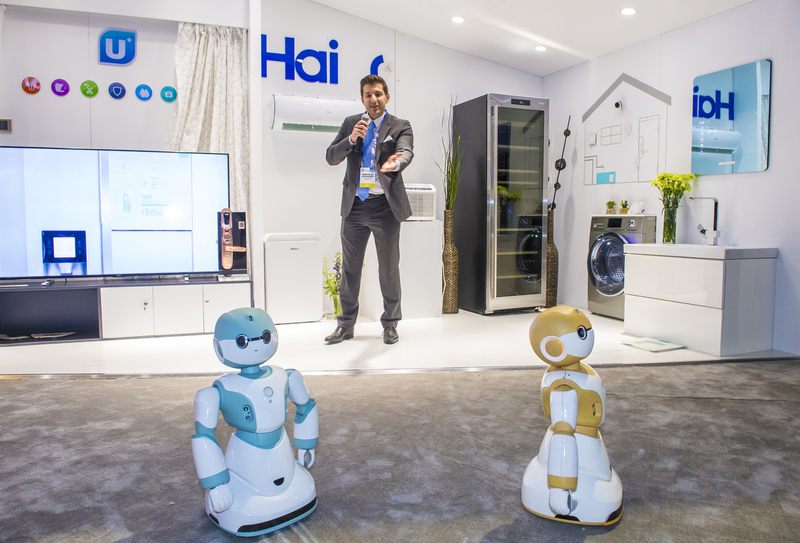 Overall, CES was dominated by the Internet of Things and smart home assistants. Living with Alexa, the Google Assistant or Siri might be very convenient, but skeptics express privacy concerns – after all, your requests are recorded, behavioral patterns are exposed, and the data you provide always leaves traces. How easy it is to access such data is a hot topic of discussion, and might as well be the major debate in the field in the years to come.